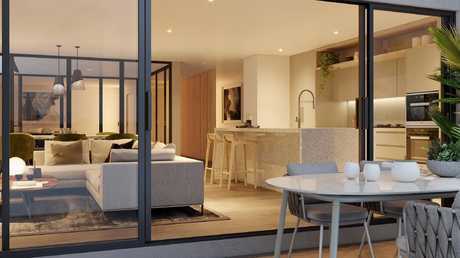 Townhouses in Mulpha's Essentia project will have ‘smart’ energy features. 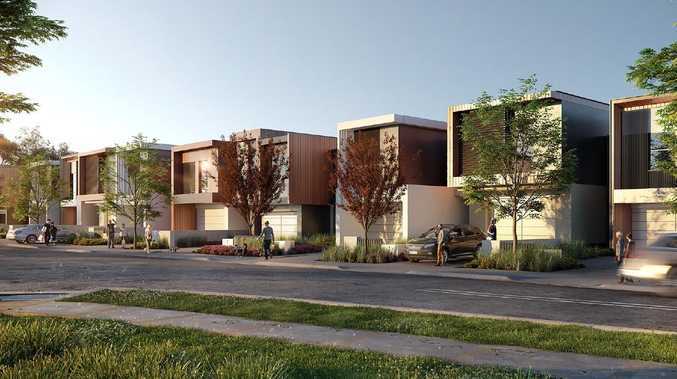 In an Australian first, 'smart' battery systems are set to power 74 townhouses in Mulpha's northwest Sydney project, Essentia, by capturing daytime solar energy which is efficiently stored and ready for use at the flick of a switch. "Every day mums and dads are looking to reduce their electricity bills so this satisfies that demand and creates a point of difference," Mr Williams said. 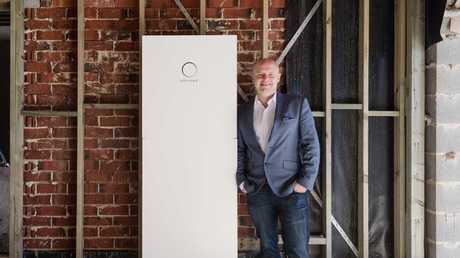 Natural Solar's Chris Williams with the battery system that will cut costs for residents. "The modelling suggests savings for home owners in this development could be between $2000 and $2200 per annum, and that's not allowing for the expected electricity increases over the next few years," he said. 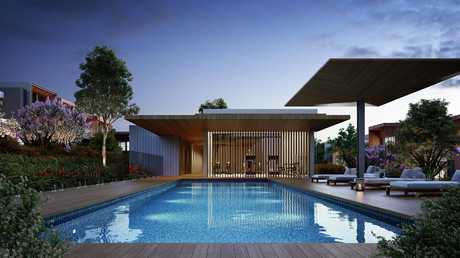 Artist’s impression of an Essentia townhouse. Each of the combined 5.13kWp solar system and 10kWh battery products will be able to identify a household's off-peak electricity usage times to turn off automatically and store power rather than return it to the grid. Mulpha's Tim Spencer said it had taken 12 months to find the right company and product that aligned with the estate's vision for an integrated community. The community will have a pool, gym and clubhouse. "It is saving home owners dollars but they are also being green with all of the townhouse's features, so it is a win for the world as well as the hip pocket," he said. The 6ha Essentia project, also delivering 33 lots of land, is being built just off Bella Vista's Fairwater Drive.